Reader talks about an adventure she had during a morning walk. I never considered a morning walk could lead me on an adventure. When I think of a morning walk, usually, images of fresh air, nature and jogging come to mind. 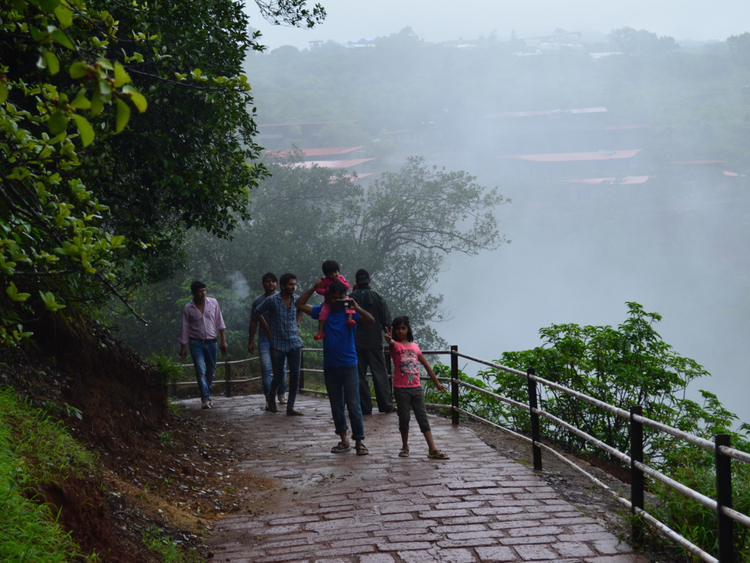 On my last vacation in December 2018 I went for a couple days to Mahabaleshwar, a hill station in India, which is 263 kilometers from Mumbai. One day, my sister, my husband and I decided to go for a morning walk to ‘sunrise point’ at 4.30am. While leaving, we asked the hotel reception the distance to this point, and they told us it would take half an hour. It was very dark and the roads were quiet. All we could hear were the noises of our shoes. After walking a kilometre, there was one street light, which was very dim. We used light from our mobile phones. It felt good to walk and breathe fresh air. Our joy was short-lived though, as we suddenly realised we were lost. The route shown on the map led us to a jungle-like area with with dense trees and bushes. We thought it was better to walk on the road, rather than entering the jungle. Since it was too early, there were no cars or rickshaws. We saw a man coming from the opposite direction. He told us that our destination was hardly 10 minutes away and there were two routes to get to this place. We embarked on one and reached our destination. Very few people were there, and all had come by car. After 10 minutes, the sun appeared and we enjoyed the view. On the same day, while passing the same spot in the evening, we saw a sign that warned passersby of leopards. We unknowingly avoided a danger. We were saved. God is with you, even when you don’t realise. - The reader is an accountant and resident of Dubai.